Many soldiers consider Army Skillport and Army Correspondence courses to be the same thing. The names are often interchanged. This is not the case. These are two different Army e-learning systems. You must register for courses differently, and each system contains different courses. Both systems do count for Army promotion points in the Military Education “Computer Based Training” section. This means that whether you use both system or just one; the maximum combined promotion points you may earn is 78 for Sergeant and 84 for Staff Sergeant. Army Skillport courses use the Skillport website to complete the courses. All of the ACCP courses are located on the Army Learning management System (ALMS); which recently migrated from the Interim Learning Management System (ILMS). The switch came about to make the system more secure and to reduce cheating. To take tests in the ACCP, you must have your CAC card to log in. Skillport does not require you to log in with your CAC. This is one of the many reasons I prefer Skillport Army online courses to the ACCP courses. For complete instructions on how to register for and log in to the Army E-learning systems, click a link below. If you are looking to get easy Army promotion points, your best option is the Army Skillport system. The Army Correspondence Courses force you to go through each page like a slide show to get credit for completing the course. Skillport allows you to skip all the “learning material” and just take the course test. If you are taking online Army courses purely for the promotion points, there is no sense in sitting there for 30 minutes clicking “next” on every page. 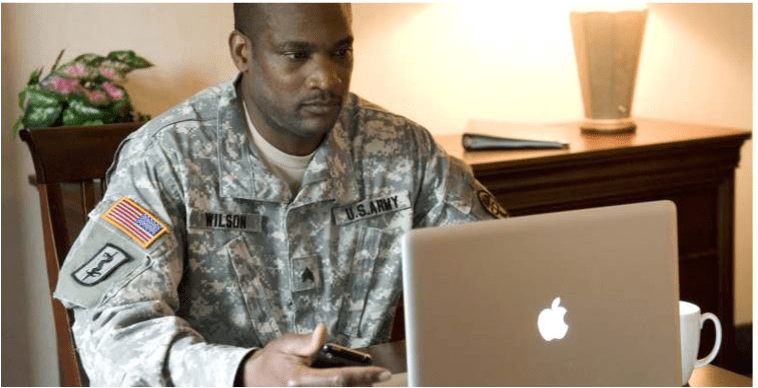 One of the great things about these Army online courses is that you can take some of them for Military Education promotion points, and use them for Civilian Education points as well.